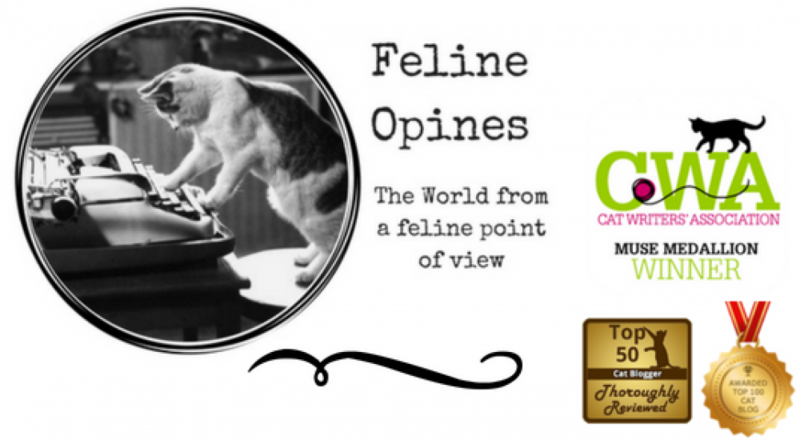 It’s that time of the week when I purrruse the web and bring you my favorite feline facts and news. Enjoy! The humans have friends who recently moved to Iceland. I kept thinking, “Iceland, what in the world is in Iceland?” Well, come to find out, those Iceland folks are pretty clever and have created a new reality show, which is, as the review says, is just about everything you could want in a reality show. The advertisement says, “Four kittens. One dollhouse. The drama between nine-week-old kittens Guðni, Stub, Bríet, and Ronja is palpable. Who will nab the top bunk bed? Is Guðni teasing his sisters again? How will the family deal when Stub has to have part of his tail amputated? (He’s fine. )” Humans, hand over the clicker, the cats now have their own favorite show! A clever human figured out how to make felines even more adoptable by making some pretty funny adoption cards. The cards feature a photo of the cat, his/her name and provides a list of their likes — “sleeping in a sunbeam” — and dislikes — “the warlock’s curse that transformed her into a cat.” All of the cards are funny and clever and here’s hoping it will help more of my feline friends find furever homes. You know how much I love working cat stories so you can imagine how excited I was to find this article that talks about how great felines are for search and rescue. “Experts say cats may hold even more potential than dogs when it comes to sniffing out missing persons, bombs drugs and diseases.” I have two feline friends, Dezi and Raena who are service cats. Never heard of service cats? Read about them here. There is also a cat named Henry who helps to find lost kitties. We felines have lots of jobs and I think, humans are only beginning to learn what we are capable of. 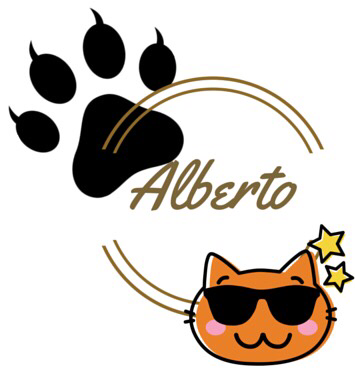 Alberto here (my friends call me Al) and it’s my favorite day of the week where I get to purrrruse the web and share some of my favorite feline things. 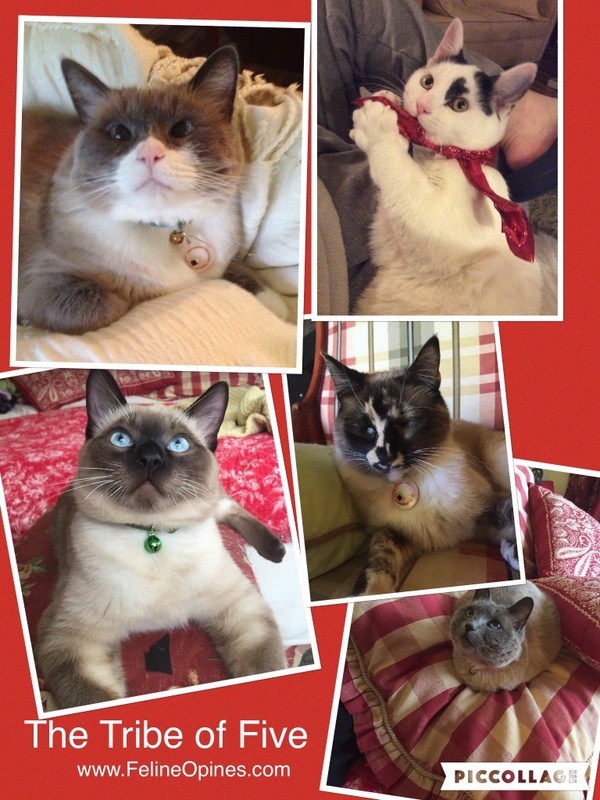 Three Chatty Cats’ mission is to promote and support cat rescues and adoptions by highlighting rescue groups, sharing adoption stories, and showcasing individuals who do their part to help cats in need. They remind us that tomorrow., Thursday September 22 is “Remember Me Thursday® which is a global awareness campaign uniting individuals and pet adoption organizations around the world as an unstoppable, integrated voice advocating for orphan pets to live in forever homes, not die waiting for them. You can enter a photo of your shelter pet and win food, toys or pet insurance for your local shelter! Our human sent photos in for #TheTribeOfFive. You have until September 30th so start posting! This one is for the more intellectual felines in my readership. The article states that “The history of cat domestication still remains understudied, especially compared to that of dogs.” and I couldn’t agree more. We felines have been earning our keep for centuries, the article says that cats may have lived among ancient farmers, mariners, and even Vikings. I should disclose however, that #TheTribeOfFive are not great mousers and our humans had to call someone to take care of their mouse problem in their old house. Here’s another one for my readers with inquiring minds. Now I get the connection with house felines and cheetahs, but zebras too? Veeeeerrryyy interesting, yep, it’s all in the genes. The photo to the left is my feline cuz Jake, who is helping himself to the catnip crop. Cosplay for cats? Well, why not? Valiant Comics’ just announced their latest series of cat cosplay variant covers. Variant covers, in the comic book world, are when a comic company ships multiple covers for their first printing and more often than not, the covers only make sense if you link the various covers together. (Who knew a feline had such comic book knowledge?). I purrrrrused the covers and had a hard time selecting my favorite but I think it has to be Harbinger Renegades (shown at left). 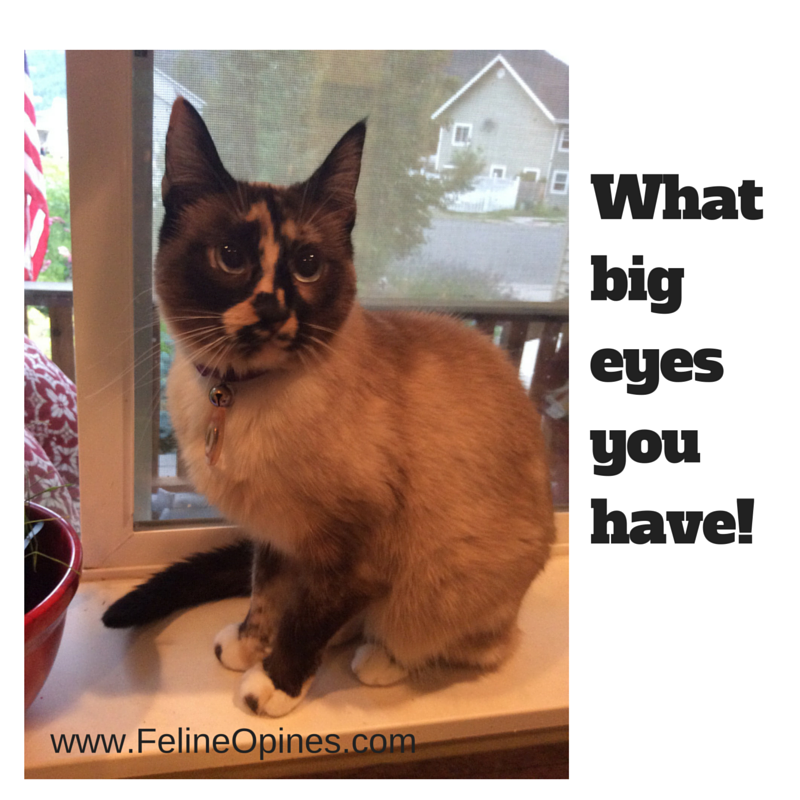 You must check this out for yourself, they are purrrrfectly wonderful! 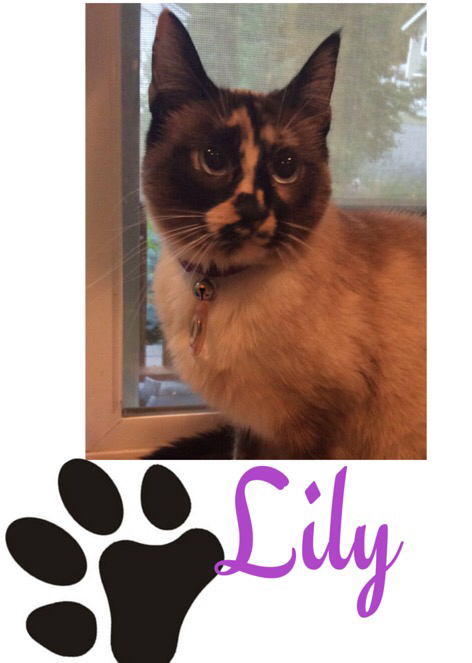 It took the humans a while to realize, “Wait, Lily has big, round eyes!” (Sometimes the humans are a little slow). Yes, I do have big round eyes, that’s what makes me unique (along with my sorta’ tortie, sorta Siamese, sorta Calico markings). And I guarantee that I’m not under sedation! So , if any of you felines out there have big, round eyes like mine, show me your pic’s and let’s celebrate our uniqueness! What’s a Linky and Why Does It Party? Alberto here in my official capacity as chief Spokespurrson for The Tribe of Five. This first post is just to say “Howdy” and to tell you that our passion and focus is fear free topics..for felines and their humans. Stay tuned for a post about fear free harness and leash training. And bear with us as this is our first Linky Party. The Linky party link and info is noted below. 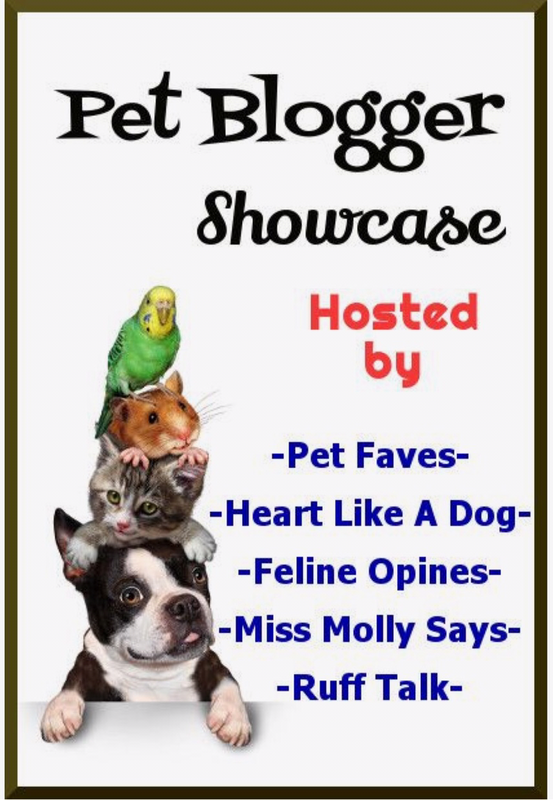 Welcome to the Pet Blogger Showcase! This is the place for you to show off your favorite family friendly pet related posts, find other great posts to read, show some love to other bloggers and maybe be featured on one of the host blogs. Miss Molly Says- Pet product reviews, pet training, pet health, pet nutrition and all things pets! Twice a month, On the 1st and 3rd Saturday of the month, you have the chance to link up one of your blog posts to the linky party link-up. Then visit 3 other blogs that joined the party and leave a meaningful comment. Feel free to share with your followers. Then each week the hosts will feature their favorite 3 posts from the previous Linky Party on the new party post. Share a pet related post, past or present, from your blog in the linky below. Family friendly posts only. (We love reading about other topics, but posts that are not pet related will be deleted.